​I was sitting in Yoga class this morning and appreciating how I no longer take on anyone else's energy. How it has been so many years of living in the light and having healed enough of my shadows that the darkness of others is met within me with a smile and love. I am fully aware and in tune with the world in a way most people would say is either impossible, overwhelming, or scary; and yet I am clear, calm, together, and on point with my life and mind and being in all ways. AND...I don't take on the energy of my surroundings. I uplift and bring peace everywhere I go, a clear focused fire which burns away shadows. Children are naturally sensitive. Most children have empathy in a way that many adults wonder at, if they take the time to consider it. Some children have extremely high levels of empathy, or sensitivity. They can feel everything, emotions, thoughts, judgments, shadows, light, goodness, darkness, and much more. They know what they know but there's often no way to translate it into the world and communicate it to anyone else. By age 6, much of this sensitivity, inner sight, and knowing of the invisible worlds is frequently shut down in children as they are trained to be functional in the physical world. The empathy with other humans may or may not remain, but the spirit senses are dulled or turned off and sacrificed on the path to adulthood. What adults call fantasy or over-sensitivity is often ignored, put away, and dismissed as irrelevant or distracting. For some children, their sensitivities are so great that it collapses their sense of self and leaves them lost in their inner worlds, unable to bridge their soul's perceptions into anything useful or relatable on the outside. The heart of such children is generally naturally oriented to light, goodness, healing, and service; but they are crushed by a combination of outer forces weighing them down and their sensitive reactions to those forces. Sometimes these overly-sensitive children learn to function in society and stuff it down, become a productive adult in a professional capacity. Other children are special needs and just cannot hold it together in school, much less as an adult in the world. They are labeled and pathologized. I grew up somewhere in the Autism/Asperger's spectrum. From birth my body would not respond to normal touch in most ways; I was frozen and staring into another world or dimension for the first six months of my life. My eye contact was not solid much of the time and with most people. My speech and language developed normally, but social skills and the ability to interact with other people was seriously delayed. My attention span for making magical concoctions out of berries in the forest could last for hours; but in school my ability to listen or do homework was abysmal. Being smart I could pull it together and get through elementary school as an excellent but quirky student with few friends; but by High School I was flunking out of classes for lack of homework and focus on more complex material. I was diagnosed with ADD and went on medication for 2.5 years, which helped me eliminate most of what I cared about from my mind and heart and die inside so I could get good grades in school. After High School, already in the midst of spiritual awakening, I stopped all medication and pursued more and more of what I was drawn to: meditation, yoga, reiki, massage, shamanic healing, and spiritual community and training. This led me on many paths and healed and grew into myself. I arrived finally at what I practice professionally today with the Modern Mystery School. In the School, there are many branches of study. Initiation, Galactic Activation, and Kabbalah drew me in right away and Kabbalah became the foundation for the rest of my life -- an entire system about building life from spirit, from the inside-out, and seeing the results manifest in tangible and physical ways that I could not begin to explain. Ways which were better than I could have imagined or asked for, and which continued to improve and refine year after year. After 6 years of dedicated work, I began higher trainings like the Ritual Master program and Guide training. These brought me beyond my original plans for this life -- fulfilling everything I originally desired to accomplish in this life, but leaving me by age 32 with a healthy body and mind and my entire life still ahead of me. Since that time, I have charted my course in service to others, and after 13 years of dedicated work, I have the power, tools, and knowledge make real the changes in the world I have always desired -- to see individuals coming to peace and knowledge of self. To feel and know that the world can be brought into the Light. That there really are ways to say no to evil in the world; that we are not powerless to stop the negative things that are seemingly always going on around us. That together we can redirect the world to be a place every child wants to live in, where every child can express their dreams. Where every child has their entire life to unfold their joy and share the real reasons they decided to be born. Here's to that world, to a wonderful holiday season, to being re-born into a world of Light. If you're ready to get started, email me: jordan@healingboston.com, and we will do a Life Activation for you soon! ​Have you ever wanted to shake the world and say, "wake up!"? Have you thought, "if I could just show those around me how real spirituality is, they would wake up and we would all be so much happier, more honest with ourselves, and live better lives together!"? For myself and most clients I know, this is a passion. But are we directing our energy and efforts to the right places? This week I was texting with a client. She's a coach and trainer with a background in many fields, and has also graduated Healer's Academy Weeks 1 & 2 with the Modern Mystery School. She became an Adept Initiate with the Mystery School two years ago, and for almost 15 years has made a career of her passion to help people. She was asking me about a new series of cutting-edge medical devices used for quantum biofeedback, and was excited about the potential of using these devices to "prove" to the masses of humanity that spirituality is "IT" -- that everything we do in the Modern Mystery School -- meditation, energy healing, and spiritual progression are the real deal and the way to go for everyone. We will never prove God-Goddess to people using science. The Mysteries will remain hidden until the end of days of human progression. This doesn't mean the Mystery SCHOOL has to remain hidden; proving that spirituality and our tools are "IT" is potentially a game changer. But know that a lot of opportunities to serve might pass you by while you're trying to prove things to yourself, others, or the world. Time waits for nobody and God-Goddess is UN-CAUSED, UN-BORN, just AS WE ARE! Without birth and without cause, nonetheless we have LIFE and PURPOSE like nothing else is capable of. This is quite the Mystery and Paradox. Only the awakening Soul will believe this. Only the uncomfortable personality gives rise to the awakening soul. And the personality is only made uncomfortable by the LIGHT of a higher Initiate shaking it from afar with the vibration of his/her own progression. Progression in light DESTROYS the matrix of human comfort, and slowly and definitively the initiate begins to destroy their programs, causing glitches in the matrix around them. These uncomfortable glitches are the ONLY THING that AWAKENS the slumbering personalities of humanity around us. More ideas in the mind do NOT wake people up! So demolish your programs and you will AUTOMATICALLY wake people up, without trying...everything else is just fluff! I'll emphasize this again: we don't wake up because science proved anything. Science has basically proven quantum theory "six ways to Saturday" and demonstrated it in experiments for 100 years now. This is not waking people up, despite movies like "What the Bleep do we Know?" If we look at the physical world and see symptoms as causes, we become confused. The reason humans wake up is because somebody has gone before us and shaken the World Tree of Life. Someone, holding Initiations into the Hierarchy of Light, earth's spiritual "government" of light beings serving human progression, has moved forward enough in their life and Soul to demolish their own programs. This is what the Mystery Schools have been doing since the beginning of human history, in a definite and specific manner that actually WORKS! We call this the "Great Work". The Matrix movies are the perfect metaphor for awakening through Initiation. As energy moves through human collective consciousness, "The Matrix", millions of times per minute, it has a unique encounter with the minds of higher initiates who have undergone serious self-work for many years. That energy circulating in the collective cannot "hook in" to the "normal" programs of humanity and repeat them through the Initiate. ​The Matrix around that initiate breaks down the habitual thinking that keeps humans stuck in their problems and fears, thereby liberating the energy from it's old patterns. This causes "glitches in the matrix" of the collective, CHANGING what is possible for others around them, and after enough energy is liberated from programmed forms, others around that Initiate can no longer slumber, because the Matrix has become uncomfortable. This work is arduous, but produces the needed results for shaking humanity free from the patterns we are currently using to destroy our world. If your matrix is already shaking, welcome home to a place of support for your long journey. Are you driven by a desire to succeed? Have you had dreams and visions of what you could be doing, but you're not sure how that's going to manifest? Let's look below the surface. We live in a time of quickening, speeding up, and great awakening. Never before have so many people had the opportunity to make big impacts in the world, and never before have we actually been so close to literally destroying the world and making it completely ecologically and economically un-livable for the majority of human beings. We are moving into a time when you can create that for yourself. You can create an impact just by tapping into your authentic truth and revealing your story to add a special kind of value to society and the world, to speak the truth of your life and in sharing that, and listening to others doing the same, begin to re-evaluate the world as it really IS! We get to watch more and more people on social media and around us in life bringing forward their bits of life experience, and we have the chance to look at life from many different angles at once. Now maybe you don't do this...maybe you are only looking through one filter, one lens at life. But out there are a dizzying variety of stories and ideas, all for you to be able to learn from, to sort through and find the truth in each one. So what is success? Who is defining success? Who is determined enough to succeed at what they desire? Where do those desires come from, what are their destinations and final outcomes? What do you notice as the fruits, the results of the lives you see lived around you? How about your own life? Everyone wants something from life, even if we deny it. We came here into this life with a purpose and goals. We set forth things we wished to accomplish in this physical life. What you think you want determines the actions you take. So where does that desire come from? Usually it's something you feel you don't have. Something you feel you'd be happier if you DID have. How determined are you to make that change happen to attain your desire, to "succeed"? And if you do succeed, is your success what your deeper self really wanted? Through meditation, If you follow your desires to their source, you will discover they are empty (and this takes a lot of meditation). You will also see a common thread: all desires are for love, for increasing love. The starting point of this expansion of love is the Self. Through meditation, worldly goals slowly become redefined by their service to a greater mission of bringing love, which leads to profound peace. This kind of peace spreads to others and is automatically shared, through an invisible field of consciousness, impacting the world and making it a better place to live for everyone. Working towards peace through meditation is a long, slow, and important road to self-realization. There are much faster ways that don't require you to be living away from society and immersed in your inner world for hours and hours per day in meditation. Meditation is still important, but the path of Initiation in the ancient Mysteries gives a more worldly and integrated approach perhaps more suited to the modern mindset and desires. Some might consider Initiation a "life hack" for success, but it is so much more. Using tools of power and metaphysical energy, the path of Initiation opens a set of doors inside the initiate to work with their inner forces in a much more conscious way, quickening their unfolding and bringing their life lessons to fruition much much faster and more smoothly than could've occurred before. Through the spiritual processes of initiation, the awareness of the initiate moves definitely and steadily towards an expansion until, by the end stages of the path of initiation, he/she is anchored and established in the infinite and eternal nature of their own being. This kind of power is cultivated alongside the great responsibility to do service with that awareness. The greatest service, of course, is to be able to share that same awareness with others, leading once again to profound peace. The determination required is enormous; many fail along the path of initiation because their desires are not clear to them, or they are not clear about how to bring those desires into the world. Having success means expanding love through service, and service means reminding others of their eternal nature. This service itself is actually relatively easy using the tools of initiation. But the determination comes in when we try to bring this to the human part of ourselves. Bringing awareness to the ego causes a reaction! We must be determined to master this reaction and reshape our lives so that we grow. There is an entire path within the Modern Mystery School tradition called the Ritual Master path, the path of the Spiritual Warrior. It is the path of mastering the reactions of the negative ego, and getting out of your own way so you can REALLY succeed in life. What is the reward of this? As with meditation, the reward is love, in a higher form which creates peace. Depends what you do with it. I believe love is the most powerful force we can wield. Tell me you don't seek love, and that's ok, but somewhere inside, we all do. Something inside each human being, somewhere along the way in this world, has experienced a lack of love. This hurts. Living from love, determined to succeed in expanding it, in my self, my relationships, and in the world, I know where my real power is. I can make decisions which will improve the world, and the lives of everyone I meet and touch. This is my definition of success. I had several clients of different backgrounds email me this week concerned for a number of different reasons by the use of the term "magick". To some people, like a newly-converted Christian client of mine, MAGICK is synonymous with evil, the devil, and something to be cast out and cast away, to run from and renounce as quickly as possible. To another client who has struggled with mental health, MAGICK is potentially scary because it is easily confused conceptually with magical thinking and fantasy. So what are we talking about with Magick? Why not just give up on such a controversial term? First, a clarification: "Magic" generally refers to sleight of hand and stage magic. "Magick" with a “k” at the end refers to spiritual transformational processes. True Magick is the same as true Yoga...true Magick is union the Divine / God-Goddess by whatever name you prefer — in all things. True Magick and true Yoga are the same as "Healing" — to become whole and in alignment with our inherent Divinity. Unfortunately, this is not found represented almost anywhere in popular culture today. The internet will not help either and is a great way to trip out and get really paranoid or scared, because Magick, like Science, can be used for both good and bad things. Anytime I google something about magick/magic, the search results are jammed with websites devoted to Satanic / Black Magick — harmful, evil CRAP that poses as Magick. This is horrible especially for young people who inherently know that Magick is real — they get sucked into truly evil stuff that is designed only for hurting people. Real Magick is ALWAYS about the Will of God, and nothing else. If you're seeking to bring about some other kind of change, other than Divinity, to your personality or life, you will have to look somewhere else, because we do not offer any other kind of Magickal training than that which is about the Will of God! It doesn't matter what name you use for God, or if you think God is only 'male' or only 'female' — those are limitations which are quickly shed on the path of enlightenment and self-knowledge. Another important distinction is Magick vs. Magical thinking. Magical thinking is wishful fantasy, which, depending on mental health, we may or may not feel in control of but which nonetheless serves no one and has no practical results. Magical thinking has many causes but all are about escaping from reality rather than actually making a positive impact on reality. For those suffering or struggling with mental health, approaching magic (or Magick) is scary because it sounds like "down the rabbit hole into wonderland" all over again, and they are rightly hoping to get out of that crazy world of fantasy and delusional thinking. SO...WHAT IS MAGICK, AND HOW SHOULD I USE IT? Real Magick is a scientific means to take the unexamined "stuff" of our subconscious minds and do alchemy with that "stuff" — transform the parts of ourselves which do not serve our light, our goodness (Godliness), or our joy. This is done through a systematic application of spiritual fire so those obstacles are burned up. In eastern Yogic practices this inner spiritual fire is called Tapas (different than a small plates restaurant). True Magick AKA true Yoga AKA true Healing should yield real results if practiced diligently over time, and is actually a precise science, although generally invisible. At the beginning of real spiritual/magickal healing and training, the client/student really has no idea what is happening. Similarly, a kindergartener has no idea why they are studying writing reading and arithmetic, and at first the letters of the alphabet are just gibberish to them. Similarly, the language of the Soul is just gibberish to us at first when we bump into a true lineage Mystery School and our training begins with our first session — we are training in how to listen to what our Soul is really telling us, so we can master each lesson and move forward. One example of this is the Hermetic tradition of Kabbalah. Kabbalah is one of the divine hermetic arts and sciences, requiring a lifetime and more to build up true understanding of it. And herein lies a HUGE piece about the importance of real lineage, and real magickal training. It is a science, and it has been honed over thousands and thousands of years to produce REAL results. Science eventually led to me being able to type to you on an iPhone in one city or state and you read it on your iPhone in a different city or state within seconds of me hitting “send”. Magick, when applied diligently and correctly with proper training and study (those iPhone engineers didn’t just wake up one day and “magically” know how to build and iPhone, they studied for many years to be able to have the knowledge to do that), will lead to definite transformation of the personality so that it becomes transparent to the Soul — capable of conducting Spiritual Light into itself and the world, and coming into alignment with the spiritual core purpose for why it (the personality) was born on this planet — to express a unique flavor of joy and bring that joy to others as well. This long haul healing / yogic / magickal process is called in the Western Mysteries the “Great Work”, because (1) its a large quantity of work; and (2) it is “great” in the sense of large and important. Magick is dangerous when misused — just like anything else — we misuse Science and create Genetically Modified Organisms and Nuclear Weapons. Inherently DNA and Atoms are not dangerous, but we misapply our knowledge and destroy the world and our health. Magick is no different. But what about innocent misuse of Magick, like just doing it on our own without any real training? If I go to build an iPhone on my own, without training, I am almost definitely going to fail. There's a good chance nothing will happen, but, depending on my attempts, I might also blow myself up in the process of homegrown science experiments. If I go practice magick on my own (whatever that means to you at this moment is fine), it's probably harmless, but there's a small chance it will really mess me up. INTEGRATION OF "MAGICK" AND "SCIENCE"? Magick and Alchemy are what developed into modern materialistic Medicine and Sciences, which have long since become divorced from Spiritual processes. Modern Science presupposes that the subject and the object are separate. Despite what Quantum Physics tells us in theory, that it's impossible to actually separate subject from object, the scientific community at large still fails to grasp even the most basic influence of mind, emotion, heart, and energy on any experiment or observation. When will we see modern Science catching up? How will we know? For me, I envision a time when Doctors and Scientists are necessarily trained to be spiritual healers whose training begins with the care of the Soul, which is the same as saying Self-Love. I believe we will see a time soon when humanity as a whole honors the nature of the spirit first before the current mechanical approach to the zombie lifestyle. When we of course send a patient for natural healing of all sorts before resorting to chemicals and surgery. When we recycle all synthetic materials and design everything we produce to flow in a harmonious cycle. From what I can see, humanity is still a long distance from this. How will we get there faster? True Magick, applied to each individual in society, to transform the personality and make it transparent to the Light of the Soul! And beyond the transformation of the personality, to infuse the Soul with the eternal infinite being we each are. It sounds so grandiose and unreachable — which is EXACTLY WHY we have MAGICK! Because without Magick — a scientific approach to transforming our inner life into the Light — humanity stands little chance of achieving enlightenment before we destroy our planet. Sticking with the inner fire of transformation and knowing when and how to engage the assistance of others and when and how to engage in purely inner work is crucial to success. Part of the difficulty in approaching ourselves is that YOUR scientific magickal process is unique from everyone else’s on the planet. The most amazing thing about Mystery School is there is a definite overarching structure and framework to the growth processes of the Soul; and within that, you can find a Map and Compass and eventually even a GPS unit — unique to you — for how to navigate this life and find joy for your Self and bring joy to others. This post was packed with so much, I had to edit it down. There may be terms in here that you might find used in perplexing ways: Soul, God, Personality, Love, Joy, and Alchemy, in particular. These all have specific meanings and are in a much larger context. Maybe I'll get a chance to post about some of that soon. "To inspire you to heal yourself, master your life, and never give up on your purpose and contribution to a better world." This week, I was speaking with a client facing some serious challenges at home and in her long-term family relationships. She told me, "My family's behavior is irrational, so I have learned to approach it with rationality. But I cannot seem to change this [manipulative and controlling family situation] — it has been going on my entire adult life." My response to her was simple: "Instead of Rationality, try Magick." To change nothing into something; and to change something into something else. When you don't know how to heal something, use MAGICK. When you don't have the information you need to change something in yourself, use MAGICK. When you are not sure what the next steps are, use MAGICK. When you are not sure what the highest and best outcome is, use MAGICK. When you intuitively perceive a higher reality for your life and don't know how to do it, use MAGICK. To me, Magick is an essential approach to living a successful life. In the Mystery School, we have many types of Magickal Healing, all for the purposes of transforming our own lives so we may better be active participants in the Will of God-Goddess, by whatever name you call the creative Source of All. The science of transformation is Alchemy. Alchemy is the set of natural processes by which all things, from mineral to human and beyond, evolve and change. The natural processes of transformation are quite slow; Alchemy is the conscious acceleration, shaping, and refinement of these processes so they go in the desired direction: toward completion and the formation of a new substance, a crystallization of eternity into a physical state, something seemingly paradoxical and impossible. Magickal healing is not intended to circumvent or short-circuit the un-avoidable processes of Alchemy, but rather to bridge the GAPS OF INFORMATION and UNDERSTANDING we face as we aspire towards our better selves in each moment. ...and many more energies are sabotaging our relationships all the time! We would have to be fully realized Divine beings to see, understand, and be able to heal all of these things! But.....how would we bridge that gap? So do we just throw up our hands and say, "I need somebody else to save me or help me, there's no way I'm going to drill down to the core of my issues and actually heal...I'll just go have a drink or a smoke and forget about it!" Disempowerment leading to addiction, quietly draining our life force and sense of hope. Magickal Healing is to embrace the process step-by-step, using definite, proven tools which bridge the missing gaps of information. By evoking specific energies to do specific things for us, goals that seemed difficult are accomplished. The best Magickal tools work with LINEAGE. This is what makes the Modern Mystery School so unique -- we have intact, unbroken lineage that has flowed from teacher to student since long before recorded history. Our systems were gathered together 3,000 years ago from the best spiritual practices, initiations, healings, and systems from all over the planet by King Salomon (Solomon), and put into one place for safekeeping until humanity was ready to wake up en masse. For the past 20 years, this Mystery School has been open to the public as an experiment — to see what average human beings like me and you will do if given the opportunity to use power tools. I was not born enlightened into some wonderful life of bliss. I came here like everyone else to learn and make mistakes and try, fail, and finally begin to wake up to my eternity. Once the magick is set in motion, all I need to do is listen and learn. My life teaches me new things, corrects and redirects me into new ways of being. I do the work, I own the results. True Magick is never used to manipulate, it is only for healing and transformation. Any practitioner trying to use Magick for negative or questionable moral purposes will quickly lose the respect of, and ability to harness, the correct forces; and that practitioner will own the consequences and karma. Focus on the Self — all obstacles you might face in life are reflections of your inner state. 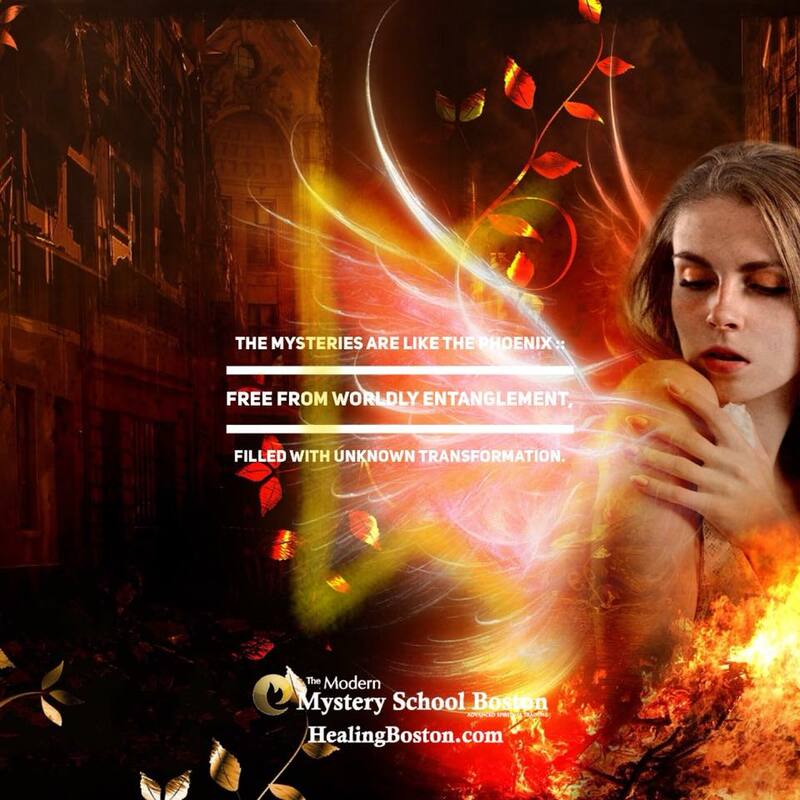 In a certain sense, everything we do in the Mystery School is Magickal Healing. But here are some examples of Magickal Healings which involve stating a goal and miraculously accomplishing it even though you don't know how! Once you have the tools, you must use them or they just sit on your shelf collecting DUST. 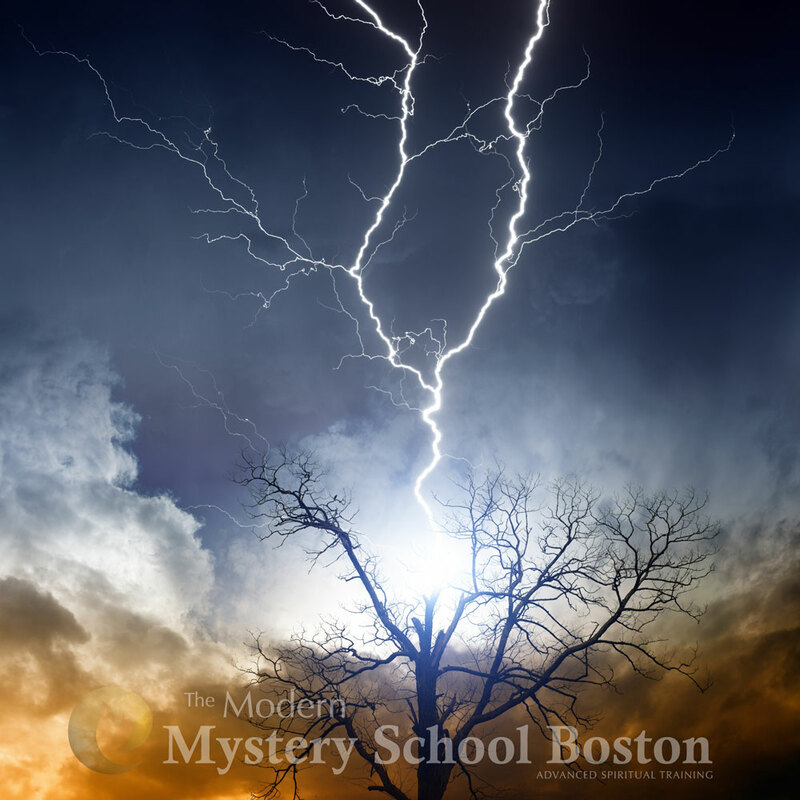 There are many many others facets and aspects to the Mystery School. But Magick and using Magick for healing are some of my favorites, because I have high aspirations and am very practical in my desires. If you'd like to explore Magickal Healing trainings offered this year, check out our primary class calendar. Astral Travel and Sacred Geometry 2 and 3 are the most accessible for new students; for all of these to work effectively, Empower Thyself Initiation is essential, because Mystery School Initiation is about enlightening the core of the Self, where we all must begin again and again. Kabbalah is the single most amazing of all these Magickal journeys, and is much more than simply a Magickal Healing. But......Kabbalah 2018 is full! You can register for Kabbalah 2019 soon. Click here to schedule a consultation and I'd be honored to chat with you about your goals. Here's to Magickal Healing and Knowing Thyself. 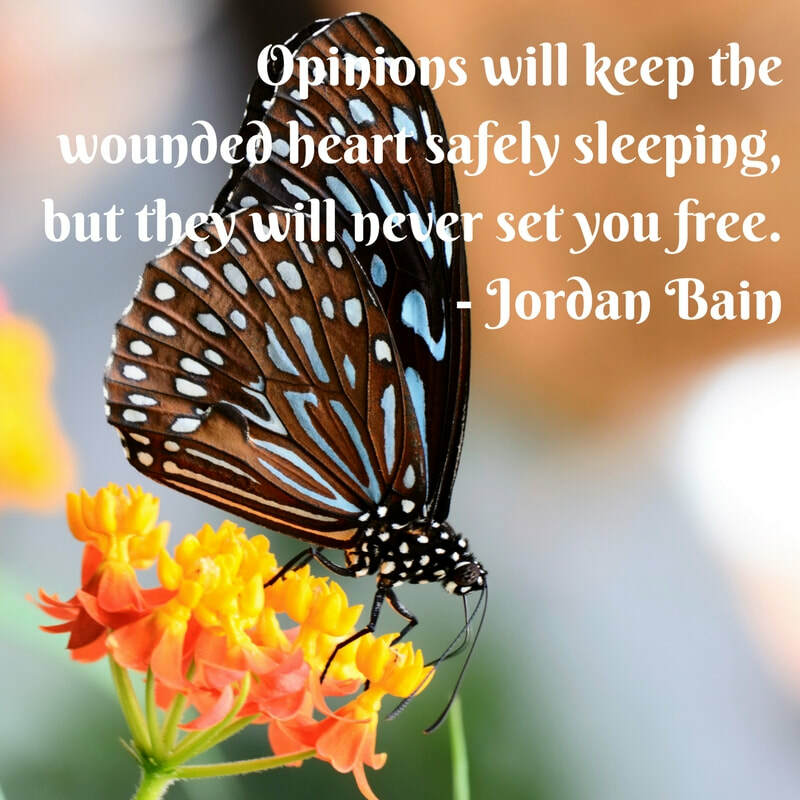 "Opinions will keep the wounded heart safely sleeping, but they will never set you free." When you've seen enough of what works and what doesn't. When you know inside that there is more and a better way of doing you. When nobody else is going to forgive you for you. When the avenues of blame are dried up. There is nowhere else to turn. There is only you, within you. There's a hunger to awaken when you're at a breaking point. There's a desire to be seen but much stronger is the desire to see. People don't randomly wake up; their soul reaches its boiling point. Before that point, to an observer, the waters were calm. And just when you begin to boil, others see your process and it looks messy. The system is in a highly energized state of constant transformation. "All things transform through fire" is an ancient alchemical saying. Your spirit is no different. When its mechanism of soul comes to a rolling boil, the real work can begin. Over that boiling pot, you can bring all manner of things through the alchemical processes required for self-mastery. Until one day you are empty. All the waters are burned off and you are free. Until then, when your soul comes to a boil, don't turn down the heat. Instead, embrace the boiling process itself and give yourself to the flame so you may one day realize you are it. You are the one thing that makes this whole process go; you are the process and you are the result. You are who you were in the beginning, before you forgot; yet you're also the one who will remember and then grow into more than you ever were. And this is the Mystery. Last week, an old client told me that since she received Life Activation (a private session) three years ago, she’s been receiving all the teachings of the Mystery School, without taking any classes. Although she does not know the content of those classes, she is sure she is receiving them directly from her spirit guides. This is not so. Or it is partially so. The mysteries open in two primary phases. We do have spirit guides, who are always working with us. While many humans might largely ignore such forms of non-physical life, they are quite real and are always guiding all human beings. I am not referring to mediumship here (communication with deceased humans), but rather interaction with beings of light who have never been born into a physical body. Spiritual, non-physical beings teach humans all the time. In fact, we are spiritual beings ourselves. But here in this physical experience of having a body, we become very limited, and often forget much of what we know. We become focused on this physical life and its wants and needs. Awakening is a unique process in which a human being begins a process of remembering who they truly are. Self-Initiation happens when a person, of their own experience and free will, realizes something essential: that they are an eternal being, that there is a greater source of light in the universe, that they wish to serve that greater light, that service must start with knowing themselves, and that they are going to need help for this long journey ahead. With this humility and simple awareness, a person asks the universe for help, and a door opens for that individual. This is Self-Initiation. Self-Initiation is often born out of hardship, though not always. Self-Initiation gives a person a certain level of authority to work with the light, to know themselves better, to develop insight and awareness, and even to do healing work and teaching work for/with other people. For some people, self-initiation seems to be enough for them. It is an acceleration of their life, a commitment to their spirituality, and a decision to live by spiritual principles as best they are able to perceive them. For others, somewhere along their path of self-initiation, they ask to go to the next level. With this request, they may eventually run into one of the 7 ancient Mystery School lineages. The 7 ancient lineages have the spiritual authority (a very difficult concept for the human ego, which revolts at such concepts) to physically initiate a person. These 7 lineages go back to the first humans, long before recorded history as we know it, and have been “handed down”, teacher-to-student, in-person, in an unbroken succession of oral tradition since the beginning of humankind. They are protected in ways that are impossible to understand, for they are designed to be transmitted for all time, and available to those who truly desire to know themselves. The true Mysteries, unfortunately for us as humans, do not teach themselves through spirit guides without physical lineage instruction. It's a very alluring concept to the ego, and seems so progressive and new paradigm: that everything can now be learned directly from spirit, and ancient keys from the dawn of humanity must be outdated or outmoded. Trust me. I banged on those doors of the universe for years, to no avail. Wishing and praying that the universe teach me directly everything I needed to know. I have seen countless others try to pry the gates of knowledge open with their requests; neither of these suffice until a person is willing to humble themselves and ask for physical initiation from a human being who carries the responsibility of initiation. Perhaps this goes without saying, but I will say it because it comes up for many people reading this: my words here might easily appear arrogant to a wide range of people for a whole host of reasons. But consider this: there is no real way to put what I am communicating here into words. Some will be able to feel it and are already humble enough to ask in their hearts. Others might simply pass this by and ignore it. Some still will be triggered by such claims and demand to see proof, or attempt to offer their own evidence to the contrary. That is fine. This lineage has stood the test of time since the original state of Paradise, and will continue to do so for a very long time to come. This article is not designed to stimulate debate or mental processing. It's written to be felt, resonated with, and then discarded if it doesn't work for you. Of those ancient 7 lineages, there is only one currently open to the public. This is the lineage which was codified for modern times by King Salomon 3,000 years ago is now called the Modern Mystery School. There have been many branches off of this lineage, far too numerous to list here, including the major religions of the world, many traditions which have taken parts of lineage and presumed have the big picture…but the offshoots of this work are as branches broken off a tree and placed in a vase with water. They are pretty and even functional at first, but eventually lose their life force and become purely symbolic, as they are cut off from the ground which nourishes them. (1) True lineage is physical, which is needed to ground eternal beings (that means you!) into this physical lifetime (that means your body, which is just a vehicle for you). (2) True lineage has keys that were entrusted to humans from the first times, and have never been lost, changed, or distorted to accommodate human egos. Impossible to truly grasp in the mind, impossible to write about. But real nonetheless. (3) True lineage empowers you, and requires you to discover and take responsibility for the full range of your choices and the depths and heights of your failures and successes. (4) True lineage will never let you down. It will always work, and always serve you. It is not from humans and is not based on human limitations (again, impossible to grasp in the mind, therefore ego will revolt here to maintain its reality picture). True lineage will show you and mirror to you where you let yourself down. (5) True lineage will lead to inner peace and fulfillment beyond what you have previously ever been able to imagine and dream up for yourself. (6) True lineage will help you discover not only who you are personally, but also how you fit into the bigger picture of humanity. (7) True lineage is required to wield all the powers of the universe in this physical body. (8) True lineage is a choice and only presents itself to those who are ready. Those who are not ready will either ignore, deny, or ridicule lineage and those who carry it. And it is not carried as a badge of honor, but as a profound responsibility. (9) True lineage undermines all the structures your negative ego has ever built, and, if carried far enough, will lead to the destruction of your old life, and a rebirth of a new life. In this new life, you will know yourself and you will find joy. This may take many years (perhaps 7-10), but it will be the most worthwhile thing you could imagine. (10) Because of all of these factors, initiation into a true lineage is the hardest thing you have ever done, and will challenge your ego structures on all levels. Your self-concept will undergo continuous change for the rest of your life, if you take this work seriously. And you will come into your highest destiny if you can stick with it. Can't make it Saturday? No worries. I do introductions to Mystery School every few weeks. Check my website calendar page (HealingBoston.com/calendar), or download our mobile app: search you app store for "healing boston". Maybe see you soon! What if we can take healing further? What if it's really possible to fully heal trauma, loss, and stress, so that we live a life with even more joy than we had before? PROBLEM: most people DO NOT make it through all the phases of transformation to true freedom, and instead struggle for years or decades feeling stuck in the past. 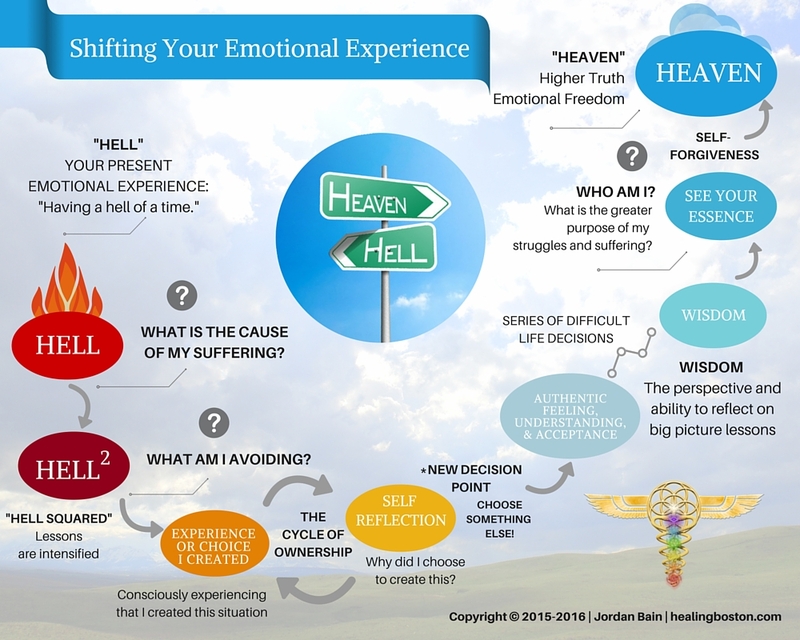 I created this chart based on a conversation with a client going through a "hell of a time" in her personal life journey. Everyone naturally goes through difficult times, whether it is with depression, anxiety, loss of a job, loss of a loved one, illness, or other life stress. When you face a difficult life challenge, stressor, loss, and/or setback, you don't feel good. Your homeostasis and balance are upset. The stress response (here's a good summary) has been studied by quite a few researchers beginning in the 1970s with Dr. Herbert Benson, and medical science is beginning to understand the negative impacts of stress, trauma, loss, and emotion in general on the body. It's also widely known, thanks to the work of pioneers including Dr. Peter Levine (trauma) and Dr. Elizabeth Kübler-Ross (grief and loss), that different types of healing happen over time, in stages, and that such healing requires serious work. Of the thousands of clients and students I have worked with, most share the common complaint that they have not found deep, lasting, complete healing with what is generally available right now in our society. "What if we can take healing further?" 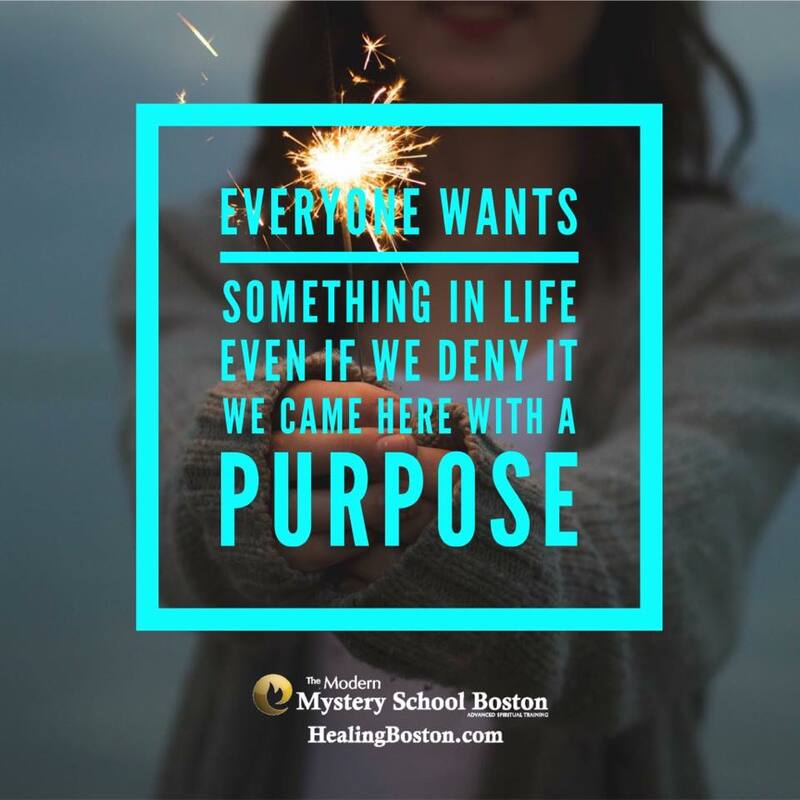 The true purpose of Mystery School is to provide a proven system for bringing individuals all the way through all phases, in a systematic, alchemical pattern which yields true and permanent transformation. The cycle of ownership in the chart above, near the bottom of the curve, is a major frustration — and time of awakening — for people before they find the Mystery School. When we aren't getting the life lessons involved, often because of past trauma and/or ongoing stress, it is more like the cycle of addiction and beating oneself up. The addictive cycle does not lead to new and better uses of personal energy. Your own life is the greatest teacher. We use the healing tools of the Mystery School to resolve blockages and heal the wounded parts of the self, and we use the path of Initiation to accelerate your learning curve. What might have taken two decades to heal, you can perhaps heal in six months or a year. With much less suffering, you can gain (or re-gain) access to healthier emotional states, and even cultivate higher spiritual experiences of love and peace, beyond what most people think is even possible. Humans are generally unaware of their choices and how their choices impact their emotional experience of life. Through difficult life experiences and trauma, many people are relatively numb to their emotional experience of life. Mystery School Activations, Healings, Initiations, and Kabbalah awaken the senses and awareness of the individual so they can become more conscious of how much choice they really have, and hopefully, make new and better choices which will lead them on a path of greater JOY and fulfillment in everything they do. Recently, a client stood in the doorway of my office on her way out of a session. We were discussing briefly her experience, and things happening in her life. We had done several sessions together over the previous half a year, and things were changing in really positive directions for her: more confidence, less self-doubt, more independence and clarity in relationships, a greater sense of her own self-worth, and more. Encouraging results from just two sessions over five months! She paused and asked me, "is this normal?" I get this question all the time. Perhaps at almost every other session, and many of the meditation classes I offer. It's such a natural curiosity: we want to feel that our intangible, invisible experience which seems so profound to us is something relatable, something safe, and something good. I responded that in one sense, YES! Her experience of questioning her reality, her perceptions, and her own "story" which had held her back in the past --- these were all normal side effects of doing a few healing sessions. But what is NOT normal about the big picture here is that to be interested in such changes, a person has to be in a process of awakening. Somebody who is ASLEEP is not going to seek out healing sessions. They are not going to be inspired to learn meditation. The majority of humanity lives in slumber, and this is neither bad nor good. It just is. Awakening is a strange thing. It is curious and unpredictable when viewed from our human perspective. It seems to follow rules beyond our comprehension, but it also seems to reward us with a deeper sense of knowing, connection, and fulfillment which we know we did not have before. When we are asleep, and have not experienced awakening, the world is unquestioned. Our thoughts generally dwell in a single dimension that is like a faint daydream in comparison with the awakened senses and awakened mind. When we are asleep, our actions seem predetermined, programmed, and predictable. We know the story and the characters of our life, and we watch the same movie over and over again. Life goes on and on and if we don't wake up, one day we grow old and die without ever noticing the range of choices we really had. Without attaching any judgment to that kind of a life path, let's look at something quite different: a life where for some unknown reason, a person chooses to wake up. How is this even possible? A life of somebody who is waking up has a very different flavor to it. It becomes increasingly multidimensional, as the individual begins to realize they are composed of much more than this earthly flesh and monkey mind. Psychic awareness and experiences of a world of energy begin to take shape, often gradually and in fits and starts. Connection with the natural forces of the world begins on a level of pure consciousness. The world becomes more alive. You begin to know there are layers upon layers of possibilities to how you could choose to be, think, feel and act. Along the path of awakening, many teachers come into your life to show you and remind you of what you have always been and known within yourself. These teachers take many forms -- relationships, work situations, friends, instructors, pets, books, seminars, setbacks, gifts, challenges and much more. Eventually, if you don't fall off the path of awakening by getting disillusioned that your newfound awareness has not yet created enlightenment, you begin to mature spiritually and deepen your curiosity of how this whole awakening journey actually operates. It is at this crucial juncture that you may encounter a true Mystery School. If you choose to step forward on the path of initiation, you plant yourself firmly in the gateway for higher knowing, and in so doing, nothing will ever be the same. If you do encounter a true Mystery School at this point in your awakening, chances are it has something to offer you whether you believe it or not. Before physical initiation into a true mystery school, awakening is essentially haphazard. It can be beautiful, but some people want a more reliable, accelerated, proven path. As a Mystery School initiate, if you follow the path of progression and use the ancient tools you are handed down -- tools which have been used since the beginning of humans on this planet -- you come to know who you really are. As you change yourself through true self-knowledge, you will become empowered to make profound change on planet Earth. If this inspires you, perhaps Mystery School could be of service in your awakening. 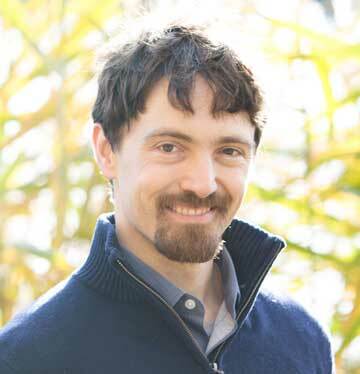 Jordan Bain is a Senior Guide, Healer and Teacher with the Modern Mystery School. He works tirelessly to assist others in their self-knowledge, healing, and life purpose. "If everything were to suddenly stop in your life tomorrow, where would you be? Would you be living in your joy? Would you be able to create a brand new life for yourself from scratch? Do you know yourself and your purpose enough to guide yourself on the right path for you?" These are essentials Jordan helps people move into and answer for themselves. He lives in the Boston area with his wife and two french bulldogs.